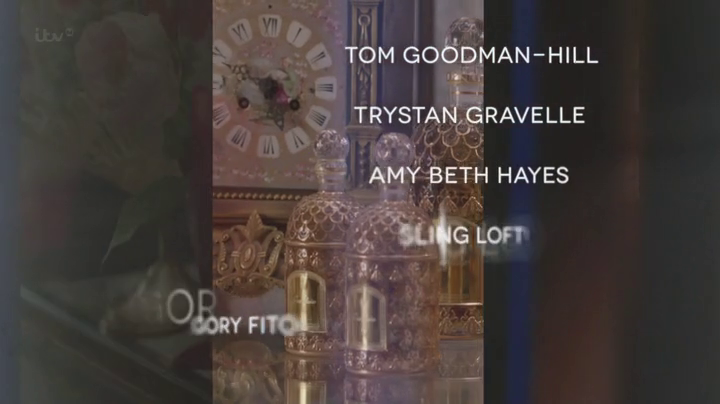 Several perfumes can be seen in the opening credits of the 3rd season. 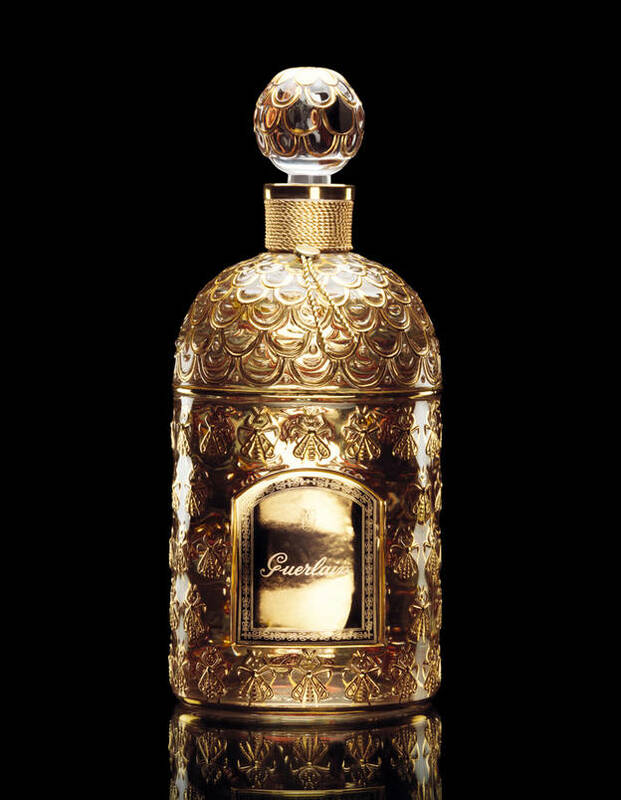 The first is the spectacular flacon géant abeille dorée by Guerlain: originally created for the Eau de Cologne Impériale and made by Pochet et du Courval, it’s decorated by 69 golden bees painted in gilded enamel. 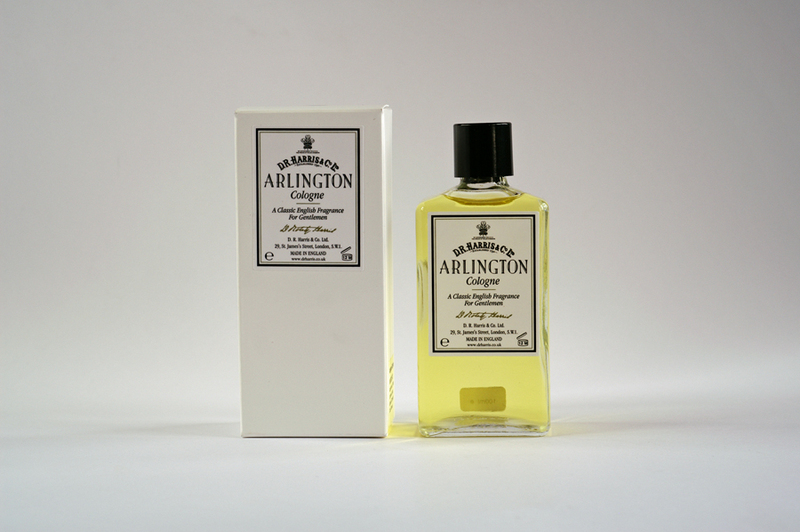 The second is the Arlington cologne by D. R. Harris & Co., a London brand founded in 1790 at No. 11 St. James’s Street. 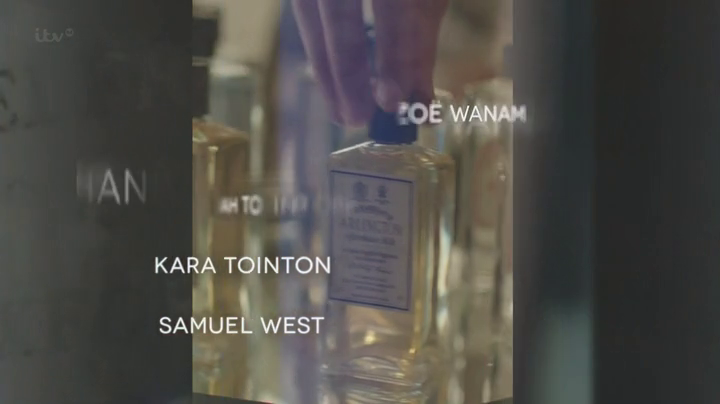 At the time, Harris’s Apothecary sold Lavender Water, Classic Cologne and English Flower perfumes.